With over 70 sessions SES Chicago running November 14-18, 2011 is a virtual smorgasbord of information for Marketing and SEO professionals alike. 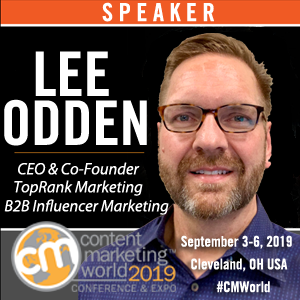 Many topics will be covered including: PPC, keyword research, SEO, social media, local marketing, mobile marketing, link building, content, optimization, usability, and so much more. With so many sessions to choose from where should you begin? Below are a list of ‘must see’ sessions that I will be sure to check out while I’m there. While I doubt that Eli Goodman and Tami Dalley will be channelling Charlie Sheen I am still very interested to hear their take on measuring the success of social campaigns. I would recommend having your social media metrics handy if possible ( I know I will), so that you can apply the speakers instruction on estimating the value of your fans and followers in real time. Who knows, we may find that we score better than anticipated. This session featuring Shari Thurow really caught my attention. Why? As marketers and SEO professionals we are mostly aware of best practices for optimizing a site and making it search friendly. But what about the site structure and content flow? Is it user friendly? Does it allow my audience to get to where they want to go as hassle free as possible? As the online landscape evolves I for one intend to learn as much as I can to help my company engage our audience. Having the right tools in your arsenal can quantify a companies social media strategy. However, when shopping around the question always arises: do I use the tools that are free and might have limited capabilities, or go for the Ferrari that may be outside of the current budget? Author Bryan Eisenberg will be providing the audience with the lowdown on tools (free and paid) that assist with identifying and fixing web conversions. Also, be sure not to miss Bryan’s guest post on the TopRank Online Blog next week which will have a preview of some of the tools he recommends. 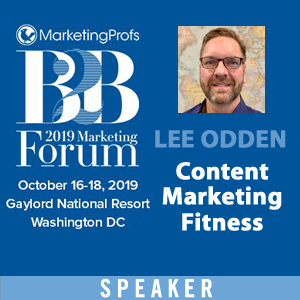 Working with Lee Odden I’ve come to realize just how important the combination of search, social, and content really is. I am curious to hear the methods that the panel moderated by Anne Kennedy and featuring Aaron Kahlow and Arnie Kuenn recommends for combining the three to target and engage an audience. I am also very interested in the step-by-step case studies that will be provided as examples for compiling a list of our own successes for our clients. #5 – Keynote – Search: Where to Next? I have my own ideas on where search will be within the next year or two, but five to ten years? No clue! 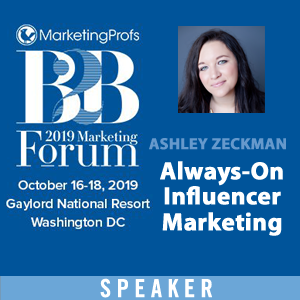 Thursday morning’s keynote moderated by Anne Kennedy and featuring speakers Eli Goodman, Zephrin Lasker, Alan Osetek, and Dana Todd will provide insight into the next generation of search and what it means for marketers. I would be prepared to take great notes during this session so that you can begin dialing in your strategy for not only 2012 but what you should be on the lookout for in the years to follow. If it can be searched it can be optimized. Makes sense right? So much of the social web has become focused on content creation, promotion, and optimization. What is the point of creating all of this useful content if your audience can’t find it? 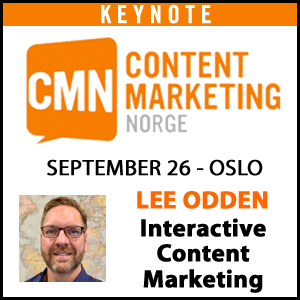 This session by Lee Odden will provide strategies and tactics for executing on a successful content strategy while keeping optimization and search in mind. If you have a question that you would really like answered be sure to write it down during the session so that if you do catch the attention of a presenter you have a clear and concise question to ask. Attend the conference organized meals if possible. This is a great opportunity to get to know other people within your industry and learn from their experiences. I hope to see all of you at SES Chicago in a few weeks. Be sure to follow the conference buzz on twitter under hashtag #SESCHI. Check out SES Chicago’s information page for a full schedule of sessions and training. 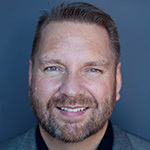 TopRank will also be live blogging and tweeting at the event @toprank, @leeodden, and @azeckman for those of you who don’t already follow us. Are there some great sessions you’ll be attending that I didn’t include? Feel free to share your top picks for SES Chicago by commenting on my post. Also, if you’re a foodie like me and you have an opportunity to explore the city, Chicago Magazine recently released a list of the 22 best new restaurants in Chicago. Social media can possibly be a good way to market; albeit it may be hard to target closely. I would suggest email solo ads to more easily target traffic towards your webpage. Good Topics! Maybe someone can talk about Mobile Optimization. Very nice article. I think it’s valuable article. Thank you.